Trying to lose weight is a common resolution. Trying to detox after holiday yummies is also a common resolution- and struggle. Some of us struggle more than others (read: me). I like to taper down and not go cold turkey… because really, it’s me and I’m that person they tell you about who will overdo it when trying to deprive themselves of things. Plus, I love chocolate. A lot. 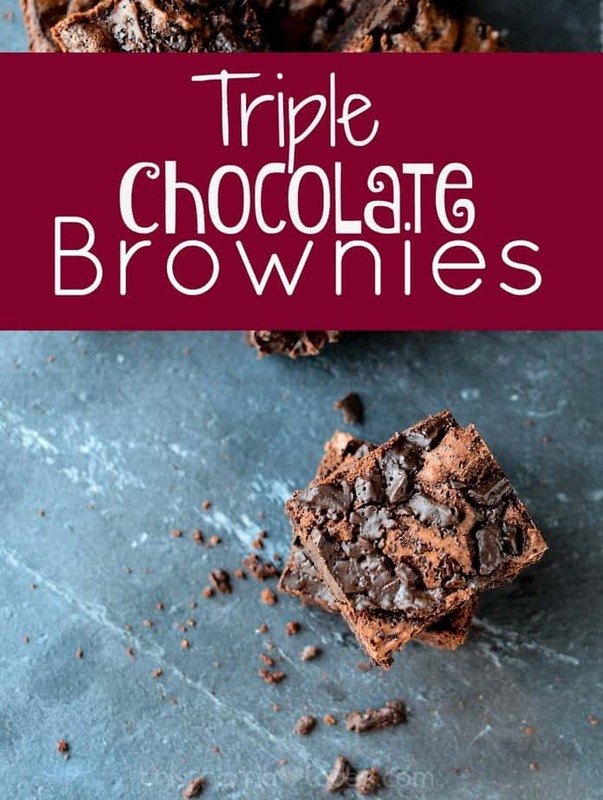 You will find it hard to believe that these Triple Chocolate Brownies are lower in fat than typical brownies- They are so rich, moist, and delicious! Spray 8-inch square baking pan with nonstick cooking spray. 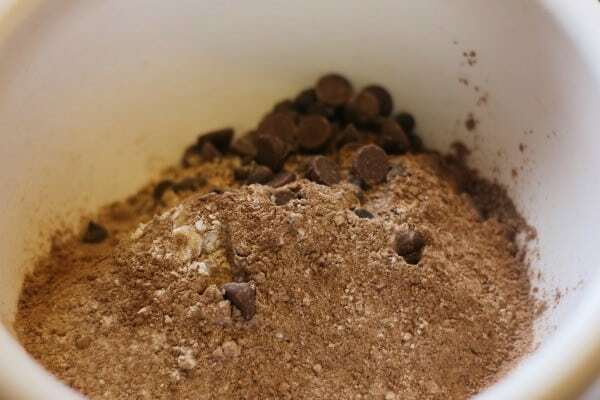 Stir together flour, sugar, brown sugar, cocoa powder, baking powder and salt until well mixed. Stir in applesauce, AllWhites, canola oil, melted baking chocolate and vanilla just until well mixed; careful not to over stir. Bake 20 to 24 minutes or until toothpick inserted in center comes out clean. Do not over bake. 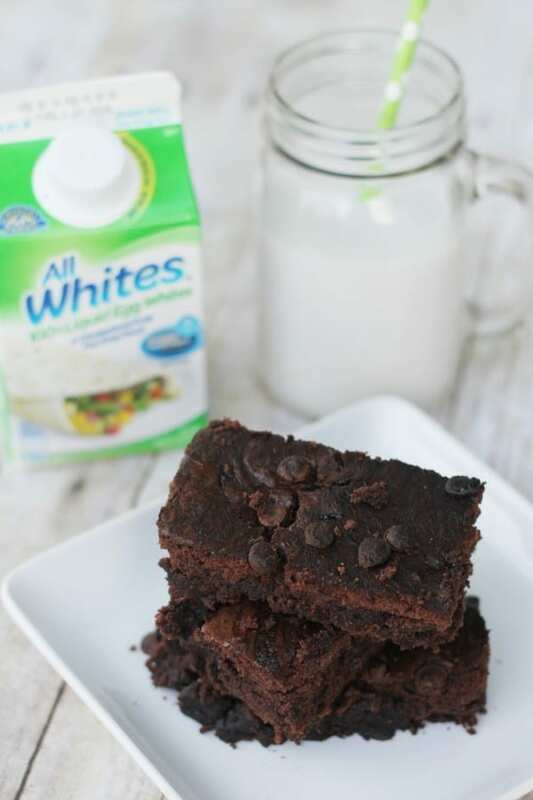 AllWhites Egg Whites make it easy to put together healthier recipes. They are super convenient, cholesterol free, fat free, low calorie, pasteurized and loaded with protein. To lighten up your favorite recipes use All Whites in place of regular eggs. PLUS they are gluten free, hormone free, and are 100% real eggs. They come in a convenient carton with an easy off cap and last up to 7 days once opened. If you are counting Weight Watchers Points 2 servings are only 1 point! Making them the ideal breakfast or pick me up snack! Check out AllWhites Egg Whites Favorites for more recipe ideas like this one!! Also, be sure to print your $0.50 Off AllWhites Egg Whites coupon before you head out to the store. You can also find AllWhites Egg Whites on Pinterest. This is NOT a 1 point brownie.. the whole pan is 112!! Smart points!! MMMM I could use some right now or spring. I would love it if you hopped over to share with us at Inspire Us Tuesday! Like I always advocate, use the 80/20 rule. 80% of the time stick to your guns and work to be your health self and 20% of the time splurge. If you go all out you’ll just burn yourself out too quickly and never really be able to attain your goals. Triple chocolate brownies sound so good right now. I could go for three! 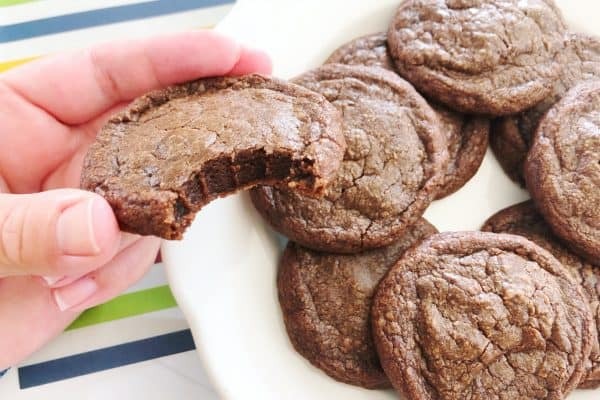 This brownie recipe looks amazing! I love that they are better than the alternative for you. oh this is so my kind of brownie! Plus I love the low Weight Watchers point option! Low point treats! Yum! Finally! Now, I can make sweet treats for the family and not feel horrible about it. Thanks so much! These look DEElicious. These look great! I never thought I’d see a brownie that I wouldn’t feel guilty for eating. Thanks! Brownies that are good for me? My prayers have officially been answered. 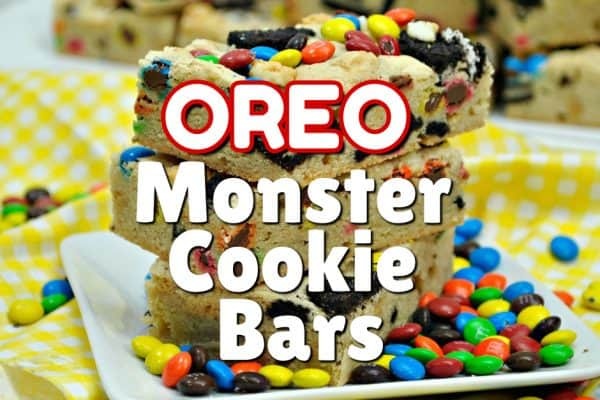 These look super good and one recipe I would really love to try. I have not had any chocolate in 2015 so a little won’t hurt. Oh how I love chocolate, brownies are a favorite. I like that these are tad bit better for you. 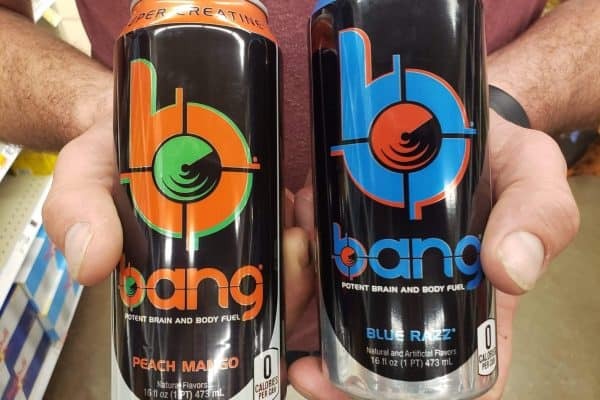 I would love to try these. 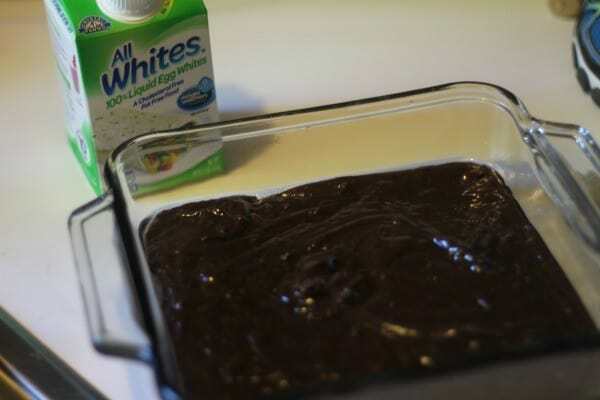 I love the ingredients used in this brownie recipe, going to have to try them using the egg whites. And I already use the applesauce a lot in my baking to substitute for the butter.